Flash Sale - Save Today! 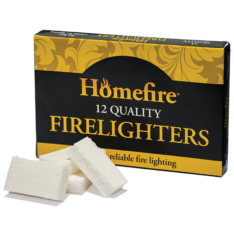 Homefire Ovals are a premium, clean burning, compact fuel designed for open fires and multi-fuel stoves. Engineered for performance following strict production standards, the Homefire Ovals consistently provide maximum heat with minimal waste each and every time. When burning, the oval shape ensures the fuel packs together closely reducing wastage and improving efficiency. This is a HETAS approved smokeless fuel. 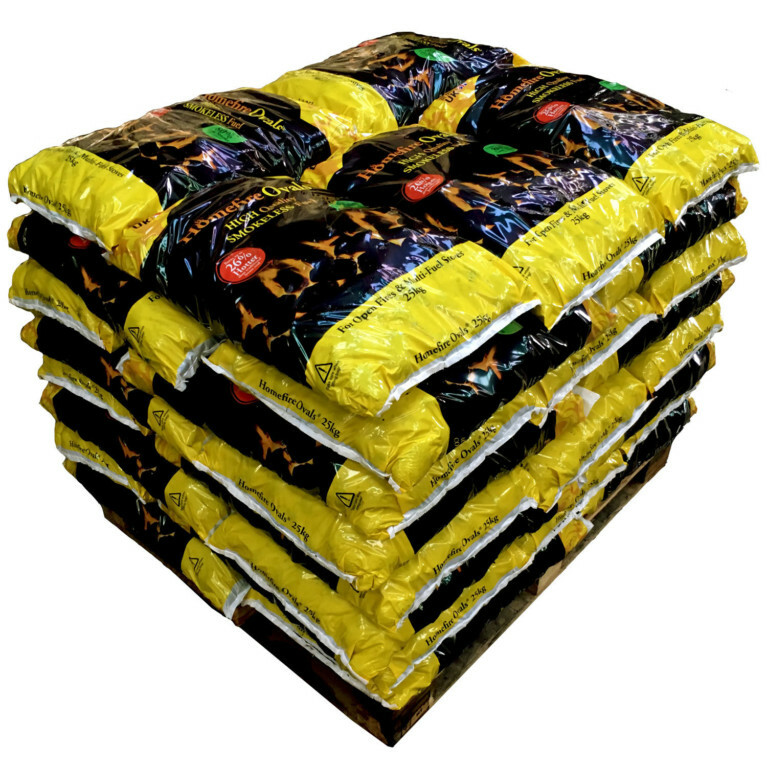 Homefire Firelighters HouseFuel Firelighters will light quickly and are ideal to ignite any solid fuel in our range, including our premium house coals, smokeless fuels and logs.